Our Liberty Print Make Up, Wash Bag or set in Tana Lawn Classic Capel in two colours. 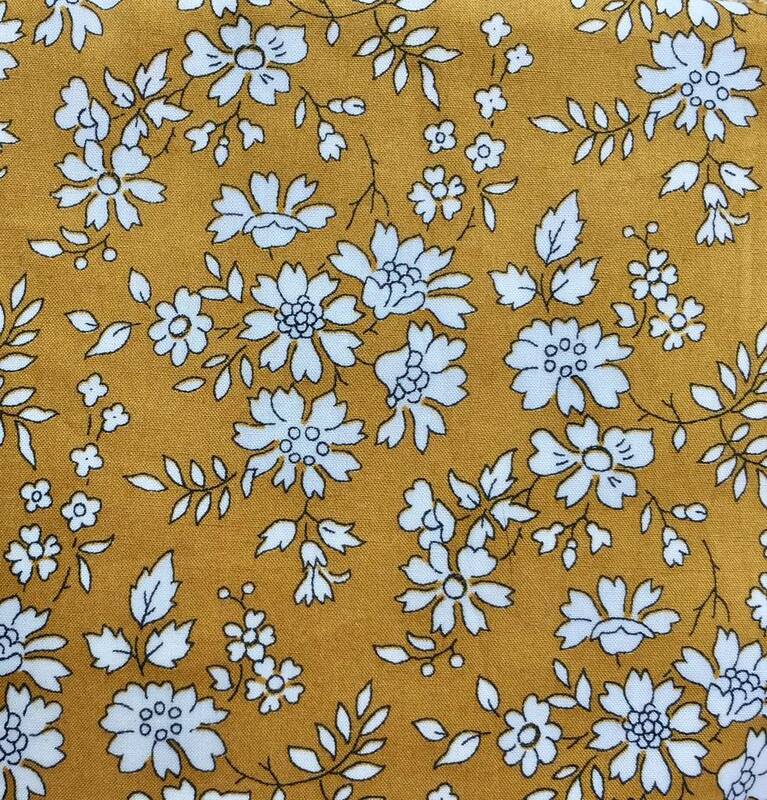 Available in Capel Pink and Capel Mustard (main image). 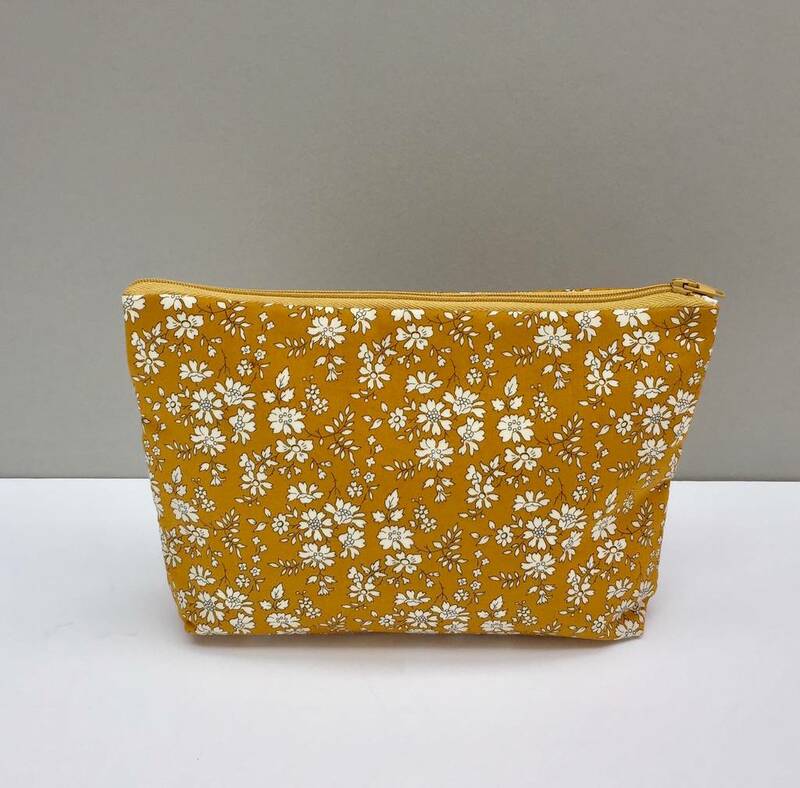 Liberty of London Tana Lawn, our Capel Make Up bag has a matching zip and a rip stop water resistant lining. 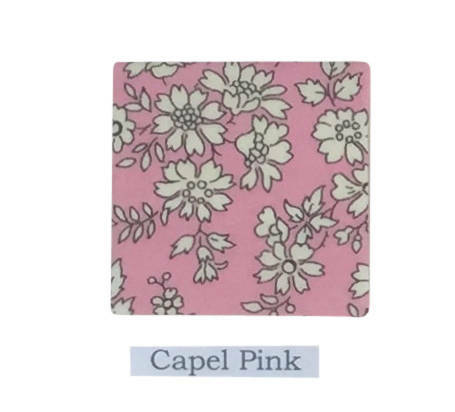 Capel was originally designed in 1978 and became a Classic Tana Lawn in 1993. 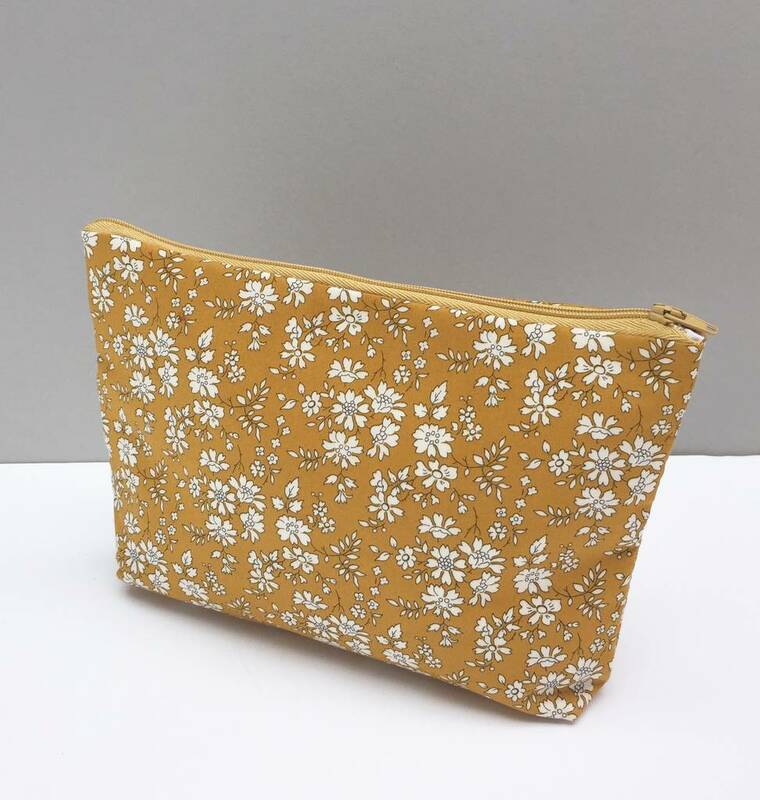 All our make up bags are handmade to order individually in our London Studio. They make a stylish storage solution and a beautiful gift - Birthdays, Mothers Day, Wedding party or Hen party gifts or a pay day treat. Make Up Bag - 22cm across and 13cm tall, base approximately 14cm by 6cm. 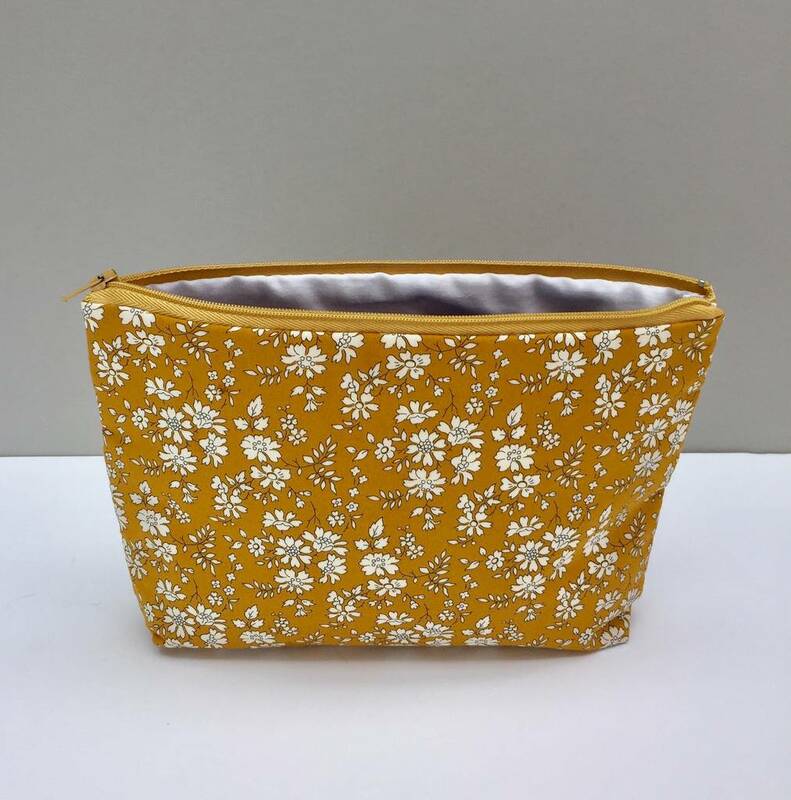 Wash Bag - 27cm across and 19cm tall, base approximately 18cm by 9cm. This product is dispatched to you by Gemima London.